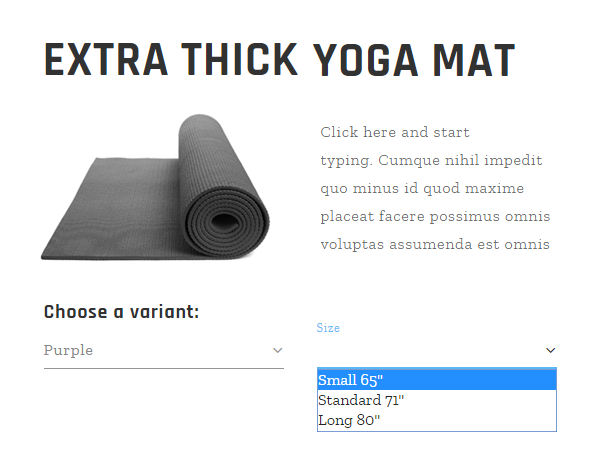 One of the most requested features for our new online store is the ability to add product variants. Now we have an easy way for you to sell your products in different sizes, colors or flavors ready for you. Add product variants and let your customers order exactly what they want. You will find product variants in the pop-up window for adding and editing products. This window is organized into several tabs making product management really easy. 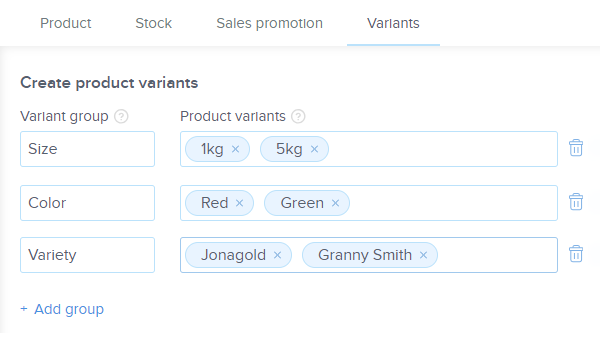 You can start creating general categories after clicking the section “Variants.” Then, you can create specific variants for each of your products, like color, size or material. 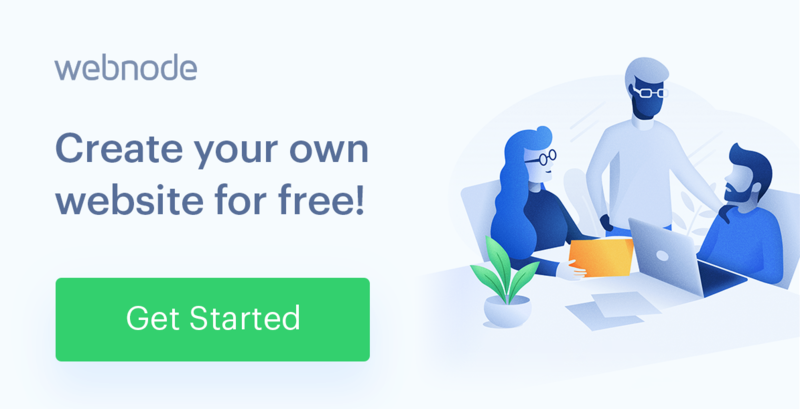 Each variant you create will be saved and automatically offered when editing other products. 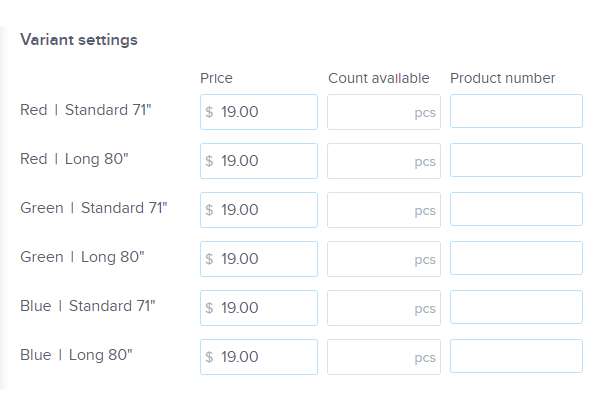 For each of the variants, you’ll be able to set a different price, product number, the number of that product left in stock or hide the variant in your store. All you need to do is activate the variant setup and fill in the fields. Product variants are included in the Profi Premium Plan. If you have the free version, Limited or Mini Premium Plan, you can test how variants work. Your customers can select from individual variants, but you won’t be able to see the customer details necessary for fulfilling orders. With the Standard Premium Plan, you can also try out how variants work. However, your customers won’t be able to see the variants in the published version of your store. 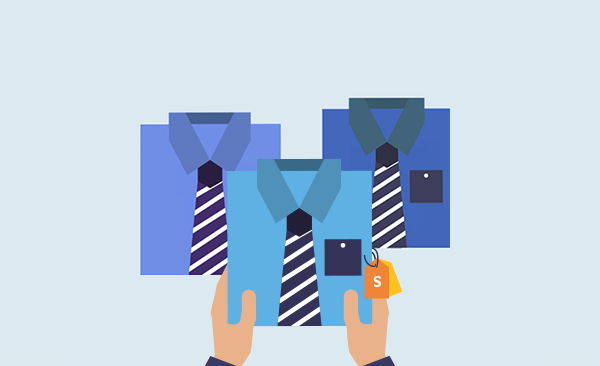 Hint: You’ll find variants useful if you’re offering products in various sizes or weights. If you want your customers to pick from different color shades based on their pictures, we recommend that you create an individual product for each color. We are further improving variants as well as other functions we would like to add to the online store. Now is the time to let us know what you are missing in our online store – share your tips in the comments below! Buenos dias necesito que las variantes se conecten con las imágenes, puede ser esto posible? Lo primero de todo, pedirte disculpas en el retraso de la respuesta. Al encontrarse tu mensaje en la versión inglesa, no lo vi. De nuevo, mis disculpas. En relación a tu pregunta, me temo que no es posible conecta la imagen con la variante. Mi sugerencia es que añadas una galería donde se puedan ver las diferentes variantes, como pueden ser, por ejemplo, los colores o las texturas. 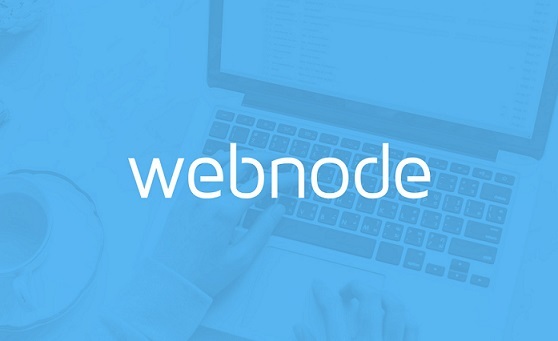 We announce the launch of E-shop, the new Webnode project that allows users to easily produce an e-commerce website to sell products online to customers using credit cards or solutions like PayPal. It is very easy to use, very very intuitive with lots of advanced features.